We shall be known as the Jamestown Community Chorus (JCC). 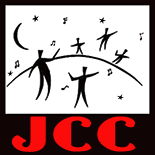 We, the members of the JCC, have come together because we appreciate the joy of choral singing and want to share it with the Community by regular concerts. Seniors – adults 65 years and older, and Students – persons attending school full-time. Supporting – those non-singers in the Community who wish to support the purpose of the Chorus. Section 2.Applications for membership from people with ties to Jamestown (e.g., past or present residency, family or business) shall receive first consideration, but membership shall include anyone who agrees with the goals of the Chorus. If membership must be limited for any reason, the Director of Music shall make the decision. Section 3. Dues – Members shall pay dues to help defray the operating costs of the Chorus. Dues shall be set by the Board. Dues shall be paid in full at the beginning of each Chorus session within the year. Section 1.The Annual Meeting of the Chorus shall be held no later than May 31, at a time and place set by the Executive Board. Receipt of reports from the President, Secretary and Treasurer. The Election of Officers and Section Leaders. Announcement of the appointment of the Director of Music and the Librarian by the Executive Board. Conduct of other Chorus business as appropriate. Section 3.Other meetings of the membership shall be held during a regular Chorus rehearsal whenever requested by the President or by any other of the members, for informational purposes or for action that needs the vote of the members. Section 4. Voting – Members who are in good standing as defined by the Executive Board shall be eligible to vote. A majority of those present and voting at a meeting shall decide any question to come before the Chorus, except where a larger vote is required by law or these Bylaws. Voting shall be by voice or, in the event of a challenge, by ballot. Section 5. Quorum – Quorum shall consist of 25% of the Members in good standing. Section 1. Management of the affairs of the Chorus shall be vested in the Executive Board between the Annual Meetings as defined in Article IV.Special Committees may be appointed by the Board as necessary. The officers of the Chorus – President, Vice President, Secretary and Treasurer. Appointed by the Executive Board – The Librarian, and not more than five non-singing (Supporting) Members of the Chorus to represent the Community of Jamestown. The Board may ask for the recommendations of the Nominating Committee as to such members. The Director of Music, who shall be appointed or reappointed annually by the Board before each Annual Meeting, shall be a member of the Board ex officio, with voice but without vote. Other employees of the Chorus may be appointed to the Board as non-voting members. The President shall oversee the general activities of the Chorus, preside at all regular and special meetings of the Members and the Executive Board, serve as a member ex officioof all committees except the Nominating Committee, and shall appoint Chairpersons for any Special Committees and other individuals needed to assist in the operation of the Chorus. The Vice President shall perform the duties of the President in the absence of the latter and assist the President as required. The Secretary shall keep a record of the proceedings of all official meetings of the Chorus, write letters authorized by the Chorus or requested by the President, and preside in the absence of both President and Vice President. The Treasurer shall receive, record and dispense funds as authorized by the Board; maintain financial records; file the tax exempt form required by the IRS; and provide financial reports for regular meetings of the Executive Board, for the Annual Meeting, for the annual audit and for any agency providing funds for the Chorus. The Librarian shall work with the Director of Music in procuring music and shall supervise its assembly, distribution, collection and filing with the help of anyone he/she chooses. The Librarian shall function as the Chorus’s principal liaison with the Librarian of the Jamestown Philomenian Library when utilizing music from the Rita Murray Memorial Collection. Each Section Leader shall serve as liaison between his/her Section Members and the Board. Section Leaders shall assist in the collection of dues, distribution of music, attendance review, the social assimilation of new members into the Chorus and in contacting Members as necessary. The Coordinator of Public Relations shall be responsible for press releases, publicity for Chorus events and shall work with the Vice President on fund raising. The Director of Music shall have full authority and responsibility to select the music and determine the musical program of the Chorus, including the engaging of soloists and instrumentalists within the budget established by the Executive Board; shall conduct all rehearsals and concerts; may appoint an Assistant Director and may appoint or hire an accompanist, both of whom shall serve under the direction of the Director of Music. The President, Vice President and Secretary shall hold office for the term of one (1) year. The Treasurer shall hold office for the term of three (3) years. The Section Leaders shall hold office for the term of two (2) years. The Members of the Board representing the Community shall hold office for the term of three (3) years. The term of office for Librarian shall be ongoing at the discretion of the Board for an unlimited number of terms. The term of office for the Public Relations Coordinator shall be ongoing at the discretion of the Board for an unlimited number of terms. 7. All members of the Board, whether elected or appointed, may serve a maximum of two (2) consecutive terms in any one office or position. Section 5.Vacancies – The Executive Board shall have the power to fill vacancies until the next regular Annual Meeting, when an election shall be held to fill any unexpired terms. Section 6. Meetings – The Executive Board shall meet at least once every other month (September through May) or more frequently as called for by the President. Section 7. Quorum – A Quorum shall consist of at least 50% of the elected Board Members. Section 1.Any Committee, except for the Nominating Committee, needed to carry out any work that cannot be done by the Executive Board, shall be appointed by the Board with the President designating a Chairperson. Section 2. Each Nominating Committee shall consist of three persons – a Chairperson, appointed by the President, and two other members selected by vote at a meeting of the Membership. The Committee may be constituted at any time but no later than one month before the Annual Meeting. The Committee’s duties shall be to present a slate of officers to the Annual Meeting for all elected positions (President, Vice President, Secretary, Treasurer, Section Leaders and Public Relations Director) and, if requested by the President, to act as an advisory committee for any other position. Section 3. The term of office for each Committee shall expire at the Annual Meeting, but incumbent Committee members may be reappointed by the incoming President with the advice and consent of the Board. The Fiscal Year shall extend from June 1 to May 31. Section 1.All deeds, contracts and other instruments of writing shall be authorized by the Executive Board and shall be executed on behalf of the Chorus by the President. In the absence of the President, the Vice President or Treasurer shall be authorized to execute such documents. Section 2. All bank accounts in the name of the Chorus shall bear the signatures of the President and of the Treasurer. Checks may be signed and withdrawals made by either officer. Section 3. The authorizations of the President, Treasurer and Secretary are required relative to non-budgeted expenditures for the Chorus. Section 4. The JCC will not be responsible for any unauthorized expenditures made in the name of the Chorus. Section 5. An Audit of the books will be performed annually as soon as possible after the Annual Meeting. For procedures not covered in these Bylaws or in the Rules of the Chorus, Robert’s Rules of Order Newly Revised, current edition, shall be the Authority. These Bylaws may be revised or amended by a two-thirds vote of the membership of the Chorus at any regular meeting of the Chorus, provided that the proposed amendment(s) or revision(s) shall have been under consideration by the Chorus and the Chorus notified of the voting date at least one (1) month prior to the date of the meeting at which the amendment(s) or revision(s) are to be considered. In the event of dissolution, all of the remaining assets and property of the organization shall, after payment of necessary expenses thereof, be distributed to such organizations as shall qualify under section 501(c) (3) of the Internal Revenue Code of 1986, or corresponding provisions of any subsequent Federal tax laws, or to the Federal government or State or local government for a public purpose, subject to the approval of a Justice of the Supreme Court of the State of Rhode Island. Notwithstanding any other provisions of these articles, the organization is organized exclusively for one or more of the purposes as specified in Section 501(c) (3) of the Internal Revenue Code of 1986, and shall not carry on any activities not permitted to be carried on by an organization exempt from Federal income tax under IRS 501(c) (3) or corresponding provisions of any subsequent tax laws. No part of the net earnings of the organization shall inure to the benefit of any member, trustee, director, officer of the organization, or any private individual (except that reasonable compensation may be paid for services rendered to or for the organization), and no member, trustee, director, officer of the organization or any private individual shall be entitled to share in the distribution of any of the organization’s assets on dissolution of the organization. No substantial part of the activities of the organization shall be carrying on propaganda, or otherwise attempting to influence legislation (except as otherwise provided by IRS 501 (h)) or participating in, or intervening in (including the publication or distribution of statements), any political campaign on behalf of or in opposition to any candidates for public office.